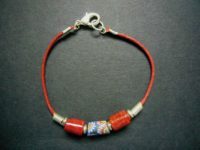 A single handpainted glass trade bead (Venetian Milleflori) set onto a bracelet of complementary glass beads on leather thong with silver clasp. 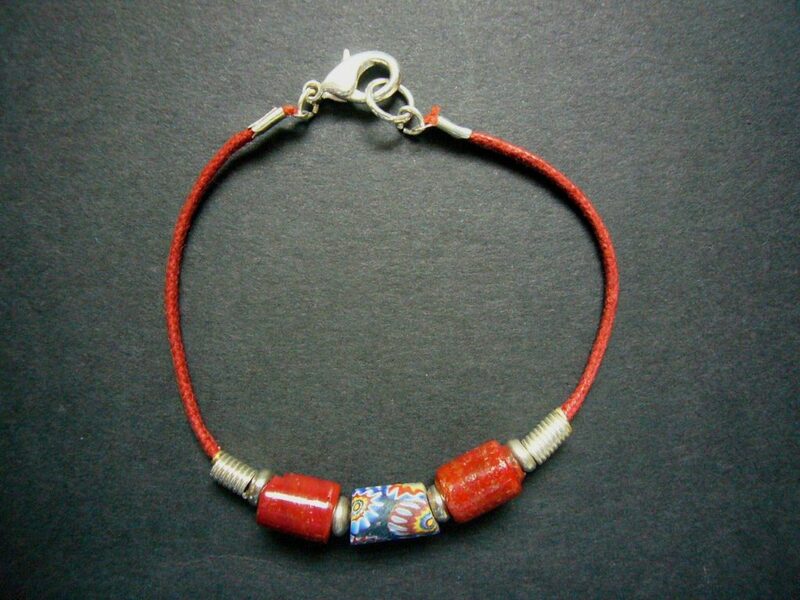 By Mara Designs of Kenya. Comes with presentation bag or box. Matching necklace and earrings available separately.